We got a bell tent and went glamping!! We stayed by McCloud Falls in Shasta. We escaped to nature last weekend. It was our second visit to Big Basin Redwood State Park. Camping in the fall can get chilly but there's also no mosquitos! If you prepare the right gear, it can be a pleasant experience. There are many surprises in Mt. Shasta in the summer season ! You can enjoy the splendid view of nature throughout. 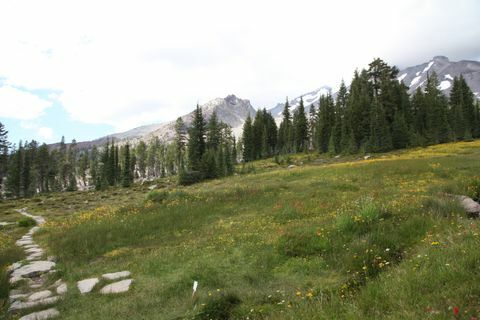 Alpine plants are in full bloom at Panther Meadows. It felt like I was in paradise ! This area is truly a sacred place. It has been protected by native americans (Wintu Tribe) through the years. The natural spring at Panther Meadows is their most important sanctuary, so we must have respect for this place.